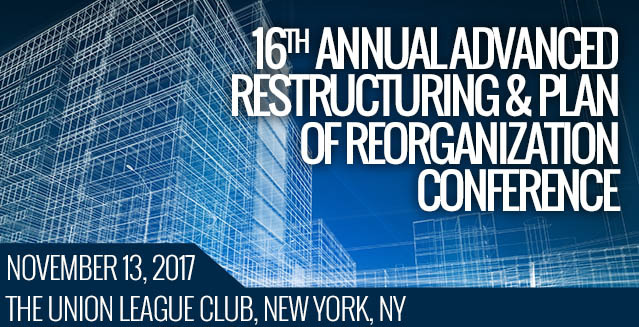 The conference includes breakfast; a keynote presentation by William A. Brandt, Jr., Founder & Executive Chairman, Development Specialists, Inc.; and a reception for the recipient of AIRA’s 2017 Judicial Service Award, The Honorable Elizabeth S. Stong, Judge, U.S. Bankruptcy Court, Eastern District of New York. This course is appropriate for both newly admitted and experienced attorneys. This panel will discuss opportunities, unintended consequences and emerging trends in the much publicized EB–5 financing universe. Join this expert panel as they provide a discourse on both the ongoing opportunities in this government sponsored immigration program as well as recent actions that have been taken to represent the immigrant investor. The panel will examine essential issues for advisors and interested parties involved with not–for–profit and for–profit institutions, including impacts of changes in funding and delivery models, government policy, declining enrollment, demographic shifts and increased operating expenses. P. Miyoko Sato, Esq., Mintz, Levin, Cohn, Ferris, Glovsky and Popeo, P.C. This panel will explore how distressed investors are looking at the limited opportunities in today’s marketplace with high valuations and an overheated debt market. Panelists will discuss sectors of focus and how to find value as well as how they can compete with strategic buyers. Teri Stratton, CIRA , Piper Jaffray & Co.
William A. Brandt, Jr., Founder & Executive Chairman, Development Specialists, Inc. Emergence date stock values versus reorganization value – Critical to any company emerging from chapter 11 bankruptcy is the determination of the estimated reorganization value of the emerging entity, a key element of the process of negotiating recoveries to creditors and owners. There have been several recent cases, particularly in the energy industry, where the emergence trading value has been significantly different than values presented in disclosure statements. This panel will discuss some of these cases and some of the factors and other insights on what may contribute to these differences. This presentation will examine significant decisions of the past year, with an emphasis on cases from the 2nd and 3rd Circuits. Over the past two years, numerous high–profile retailers, including Aeropostale, Sports Authority, Payless and Gymboree, have filed for bankruptcy. This wave of retail restructurings is expected to continue as consumers continue to migrate from brick–and–mortar to online retail channels. This panel will discuss vendor remedies when confronting a distressed retailer, including remedies available under the U.C.C. ; landlord issues, including re–letting and re–purposing retail space; as well as the attributes of some of the more recent successful retail restructurings. *Application for New York accreditation pending approval. CLE for other states applied for on request. This course is appropriate for both newly admitted and experienced attorneys. Additional Information—Registration and payment of fee must be completed in advance at www.aira.org, or at the onsite registration desk. No refunds will be given for cancellations after November 7, 2017; however, substitutions will be allowed. For assistance or questions regarding refund, complaint and/or program cancellation policies, please contact our offices at (541) 858–1665. For additional questions or for resolution of any complaint, please send an email to Thomas Morrow, Executive Director, at tmorrow@aira.org.